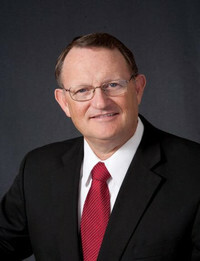 Brother Jim Crain was born in Longview, Texas, but reared near McNeil, Arkansas. His father, Arnold Crain, managed an auto body shop in Magnolia for many years. After graduating McNeil High School, he attended an electronics trade school in Little Rock. He served in the military during the Vietnam War, earning the Bronze Star-Valor award. Having accepted Christ as Savior at the age of 16, he was later baptized and licensed to preach by Mt. Zion MBC, Cale, Arkansas in 1972. He received the Doctor of Theology degree from LMBIS in Minden, Louisiana in 1993. He has served various ways among the churches of the American Baptist Association including as President of the Association, Chairman of the ABA Missionary Committee, and various offices in local and state associations in Arkansas and Louisiana. He also has Pastored local churches in Arkansas and Louisiana for 44 years, and has been a writer of various religious literature since 1983. He currently serves as President of the Louisiana Missionary Baptist Institute and Seminary in Minden, Louisiana, and as writer and Editor of HPB Publications. He and his wife Beverly have two children and grandchildren.